Nissan and Toyota are expanding their Mississippi facilities, and their suppliers are following suit. Two OEMs, numerous suppliers and a research center dedicated to advanced vehicular systems puts Mississippi in a very competitive light relative to other Southern locations. Add low business costs, high-end logistics infrastructure and an abundance of labor and the automotive industry is in Mississippi to stay. Nissan's Canton Vehicle Assembly Plant added the Altima to its list of models produced at the 4.7-million-square-foot facility in 2018. Built in 2003, the plant's 6,500-plus workers have produced more than 4 million vehicles to date, including the Frontier and Titan truck models. It's investing $170 million to upgrade the Canton plant, as well as one in Smyrna, Tennessee, where the Altima also is produced. Mississippi's other automotive OEM, Toyota Motor Manufacturing Mississippi, also announced a $170 million capital investment in the state — a new visitor and training center at its plant in Blue Springs and implementation of the Toyota New Global Architecture (TNGA) manufacturing platform for production of the 12th generation Corolla sedan. This investment directly supports Toyota's plan to invest $10 billion in its U.S. facilities over the next five years. This investment brings the company to $4.27 billion of new investment in the U.S. since the commitment was announced in 2017. Toyota's total investment in the U.S. over the past 60 years is $25 billion.
" This new addition will allow us to accommodate the higher than expected demands of our main customer BMW in the U.S., South Africa and China which we supply from right here in Iuka. " What's the significance of TNGA being installed at Blue Springs? "We will be able to respond quicker and be more flexible in order to meet market demands down the road," said Toyota Mississippi President Sean Suggs. "I'm very proud of our team members and the partnerships we have developed across the state." TNGA is a new approach to the way Toyota designs, engineers and produces its vehicles. While retaining traditional Toyota values, such as exceptional quality and safety, TNGA improves performance of all models, including providing more responsive handling and a more comfortable, enjoyable feel while driving. It also shortens the development cycle for vehicle improvements and new vehicles by providing a more flexible production environment. Statewide, the Magnolia State's automotive industry is comprised of more than 200 companies employing more than 20,000 workers. 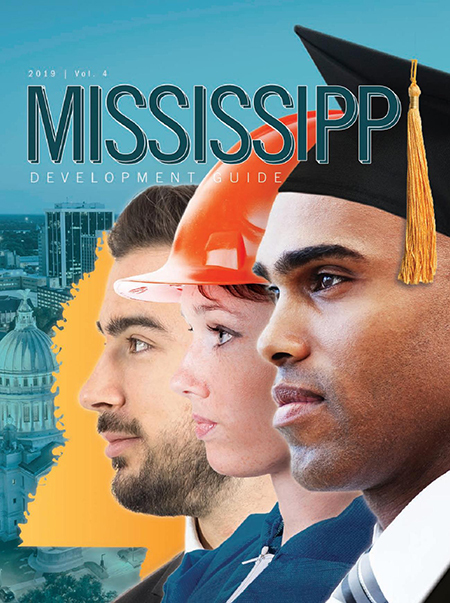 Home to four public research universities and 15 community colleges, Mississippi delivers both advanced degrees in business and industry and tailored curricula and workforce training at locations throughout the state. The Haley Barbour Center for Manufacturing Excellence opened at the University of Mississippi in Jackson in 2008. It works with business partners to produce interdisciplinary education programs, co-ops and internships that will result in new generations of business leaders in the manufacturing field for the foreseeable future. Mississippi's other manufacturing resource, and the one specific to automotive research and development, is the Center for Advanced Vehicular Systems (CAVS) at Mississippi State University. It helps businesses improve engineering, manufacturing and design technologies at a facility in Starkville and at an extension center in Canton, near the Nissan plant. The CAVS locations provide both research and development capabilities, as well as continued education and training for new and current industry employees. On the supplier side, Germany-based automotive supplier hago Automotive is doubling its footprint in Iuka to accommodate a new contract with BMW. The project represents a $4-million corporate investment in new equipment and will create 60 jobs over the next four years. It involves the construction of an additional 50,000 square feet at hago's existing 50,000-square-foot facility. In 2016, hago started operations in the former Dennen Steel facility at Yellow Creek Port, investing $10 million and creating 80 jobs. "This new addition will allow us to accommodate the higher-than-expected demands of our main customer BMW in the U.S., China and South Africa, which we supply from right here in Iuka," notes hago Automotive General Manager Alfred Geiger. "It will pave the way for further growth with other automotive manufacturers in the U.S. and overseas." The Magnolia State is on a mission to fuel growth and business success across the state.